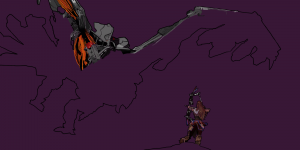 For today’s work I worked a little bit on the winged creature, and then completely finished the female protagonist. Working on this project makes me realize how good I can be with the mixer brush in Photoshop. 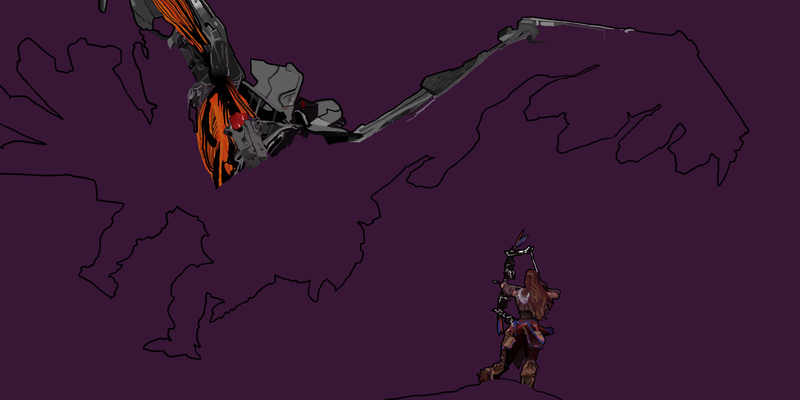 Sure, I’m trying to replicate a piece of artwork that already exists (from the video game Horizon: Zero Dawn) but I’m just using it as a rough guide so I keep everything in proportion. It’s kind of like coloring in a coloring book, except all you have is that black outline, and you’re filling it in how you see fit. If I’m going to eventually be drawing some sort of android character(s) for my web comic (or whatever it’s going to be), so getting in some practice at drawing characters with arms, legs, and a head, would likely be the smart thing to do.